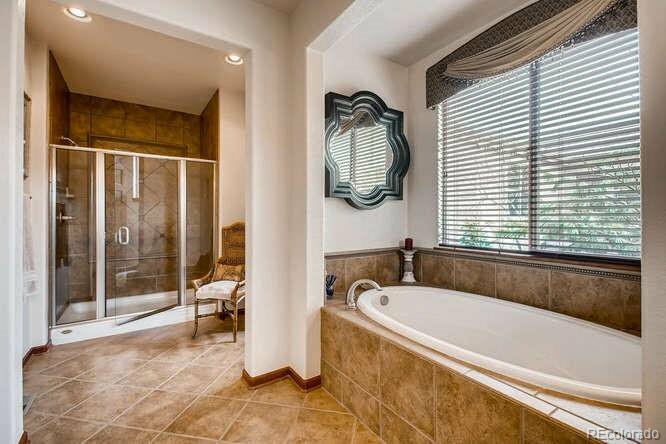 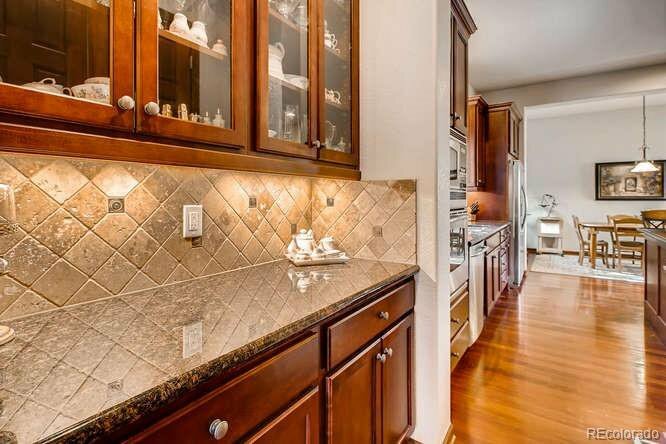 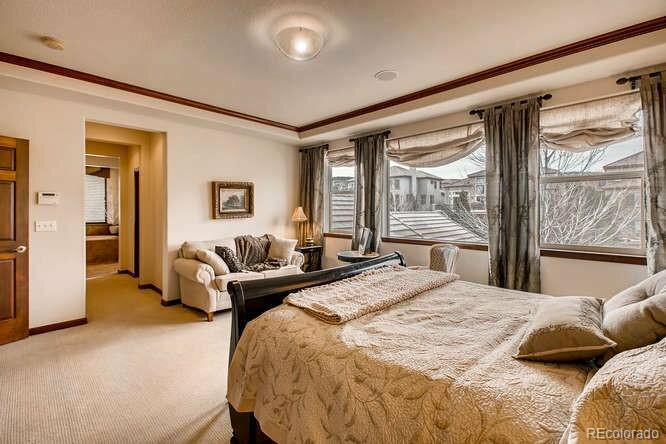 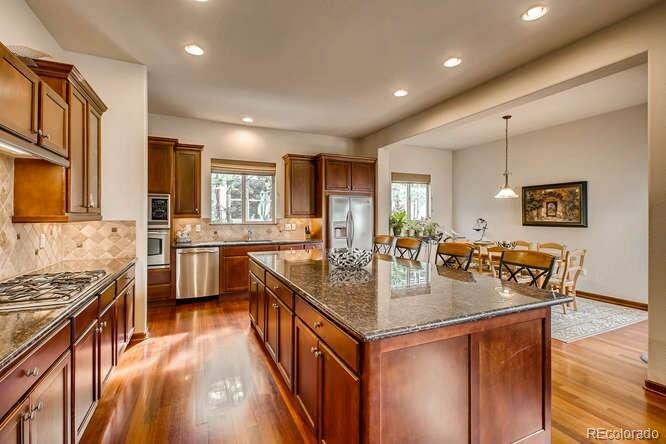 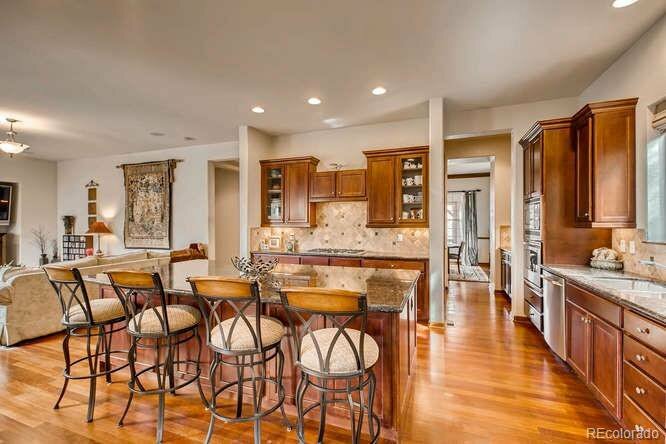 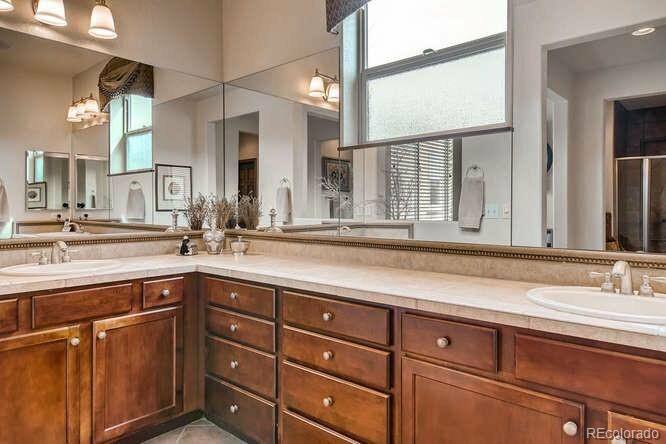 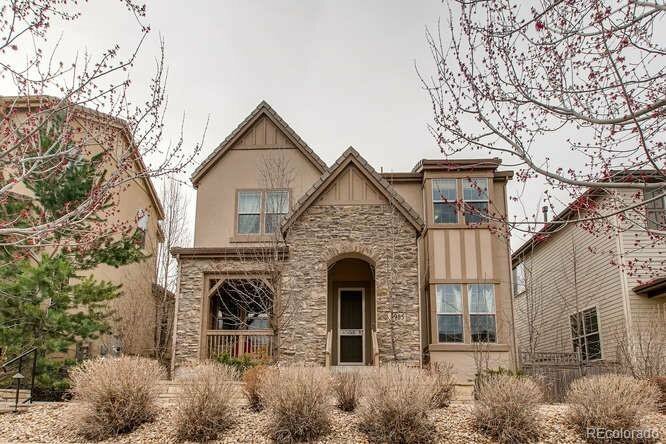 Fantastic Toll Brothers Semi-Custom Courtyard Home in the Heart of Lone Tree! 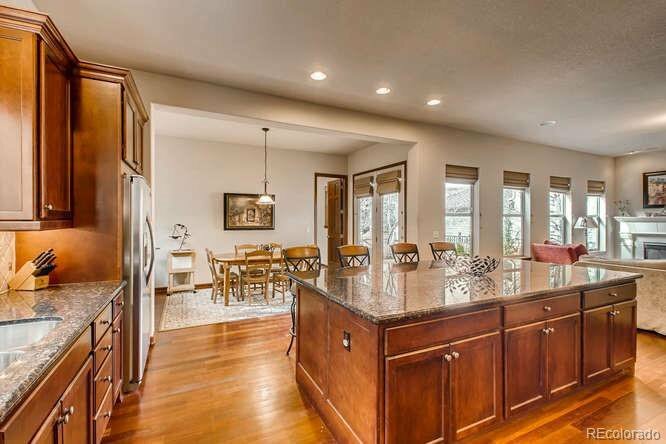 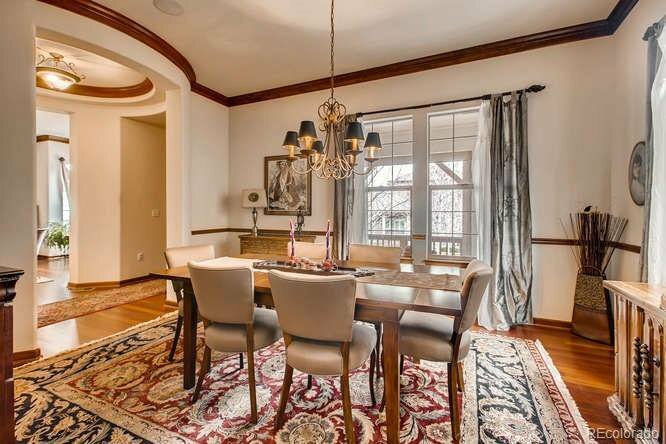 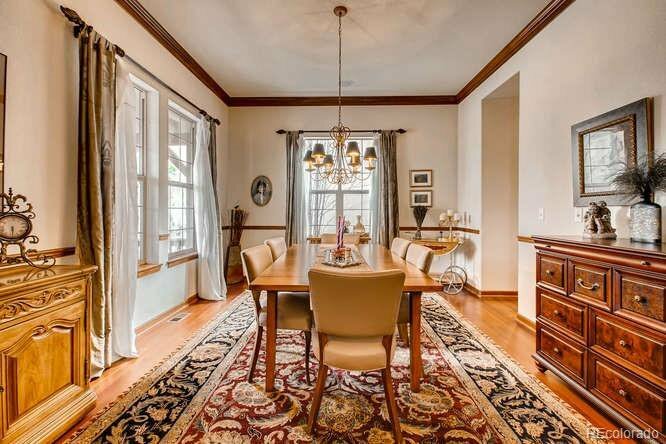 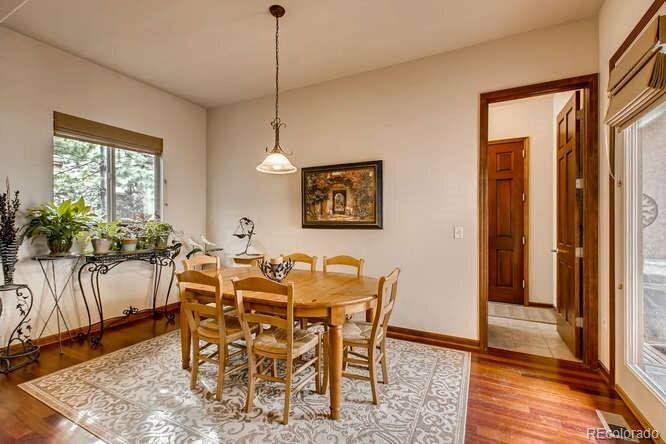 This Stunning 3 Bd/3Ba Home Features a Light, Open Floor plan with Beautiful Brazilian Hardwood Floors throughout the Main Floor. 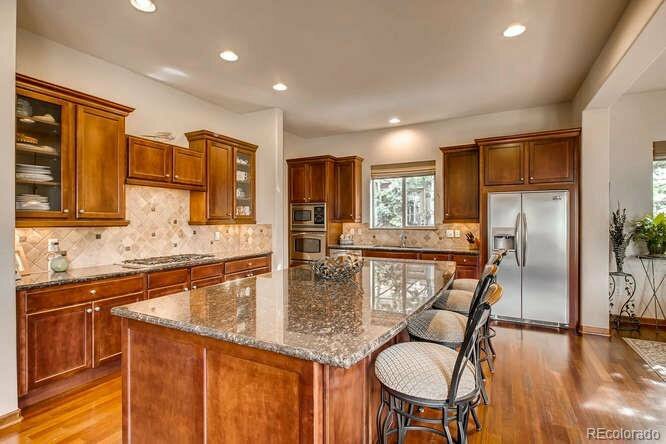 Gourmet Kitchen with Large Kitchen Island, Butler’s Pantry, Cherrywood Cabinets, Stainless Steel Appliances and Gas Cooktop. 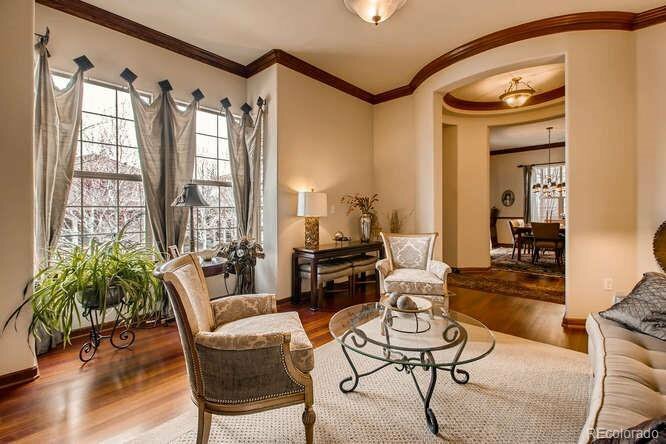 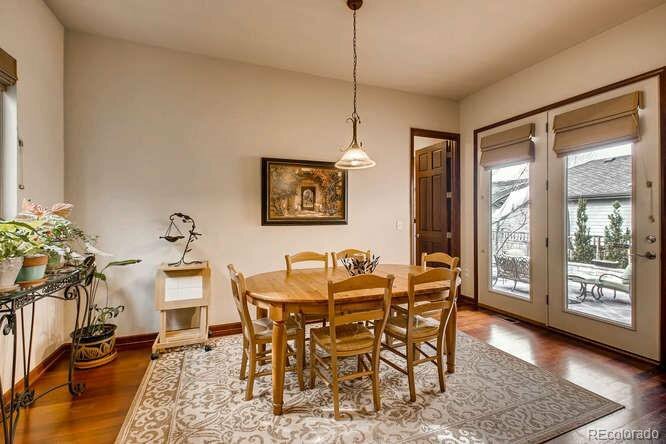 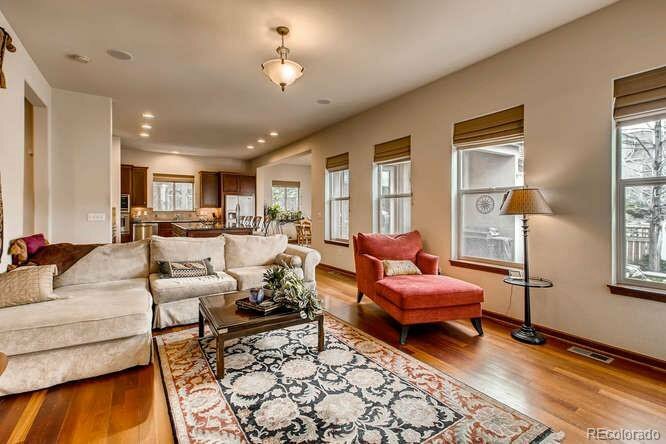 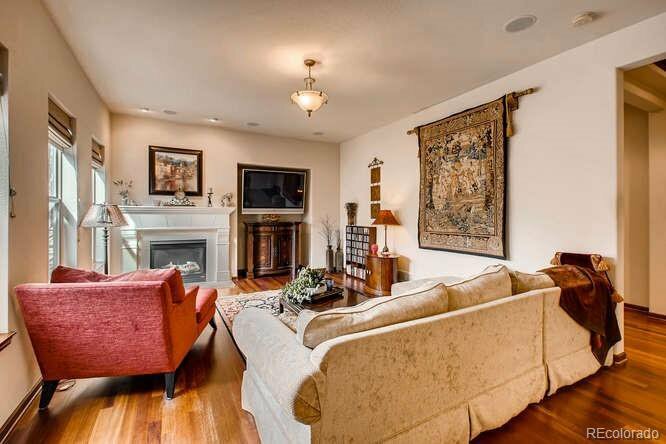 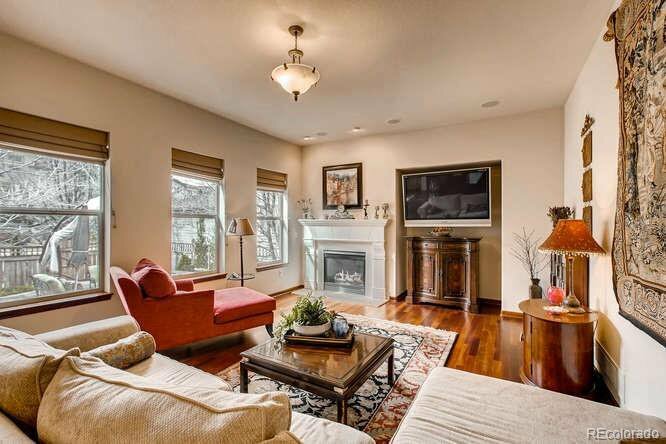 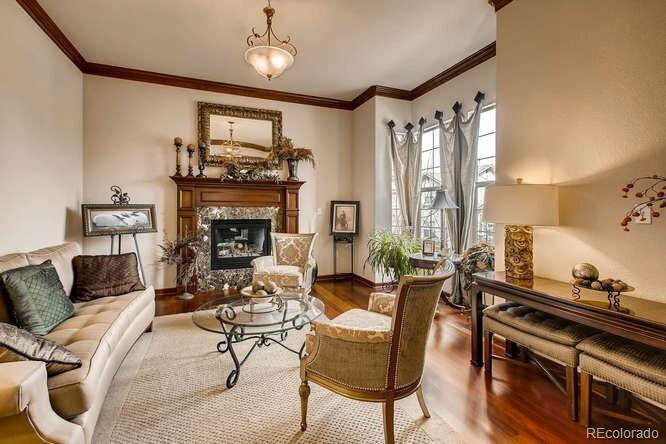 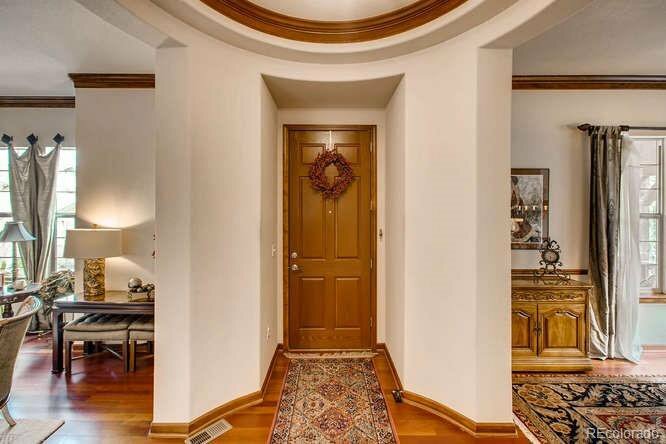 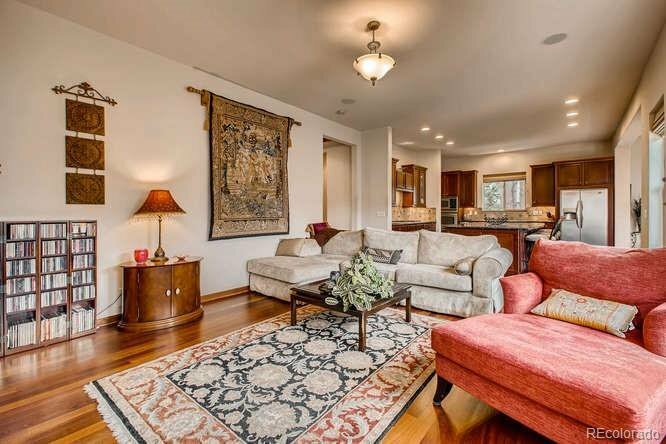 Great Family Room with Stone Fireplace and In Wall Surround Sound as well as Formal Dining and Living Rooms. 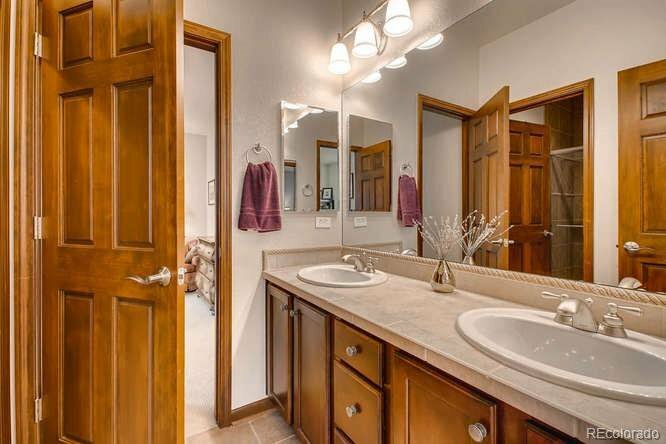 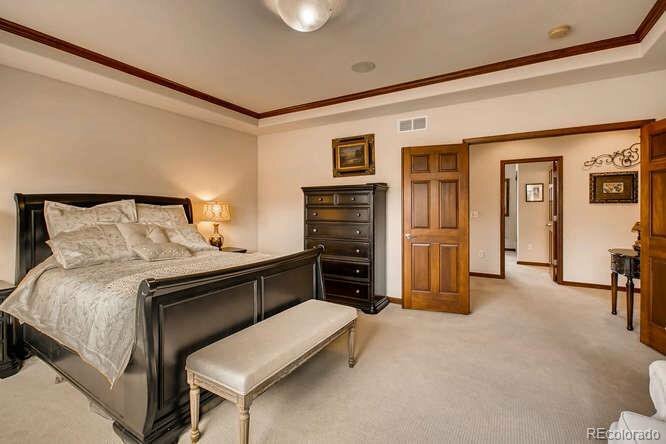 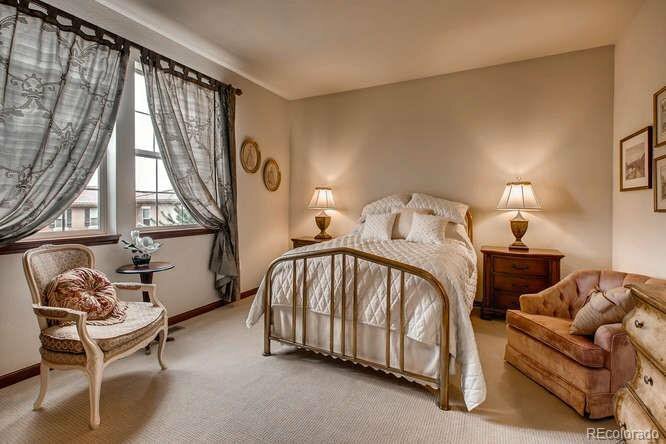 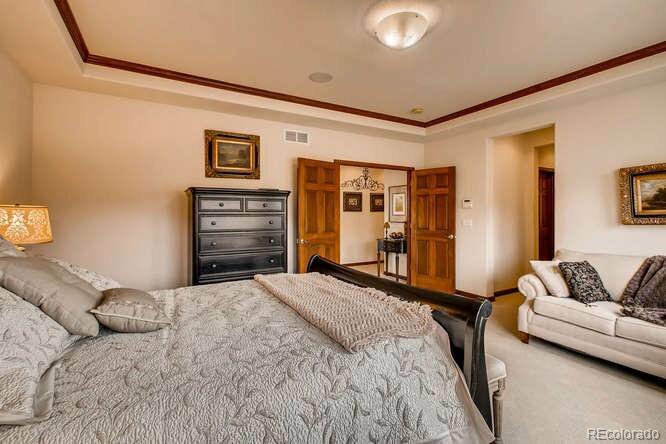 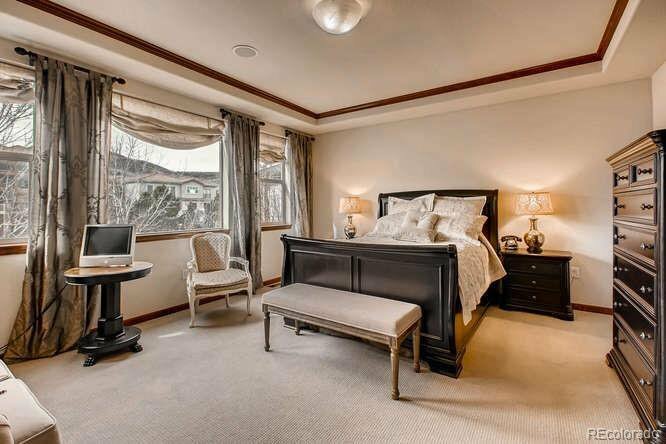 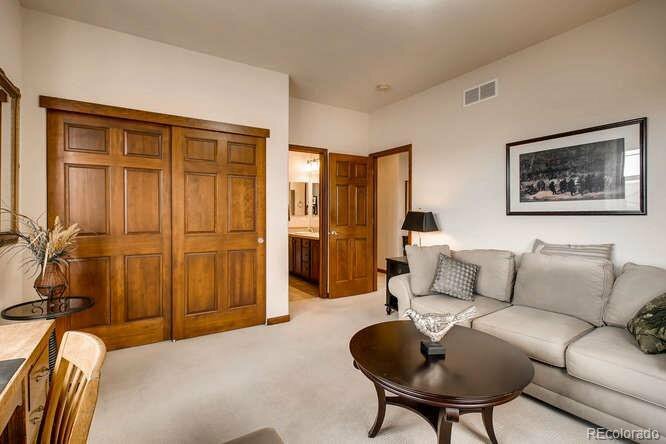 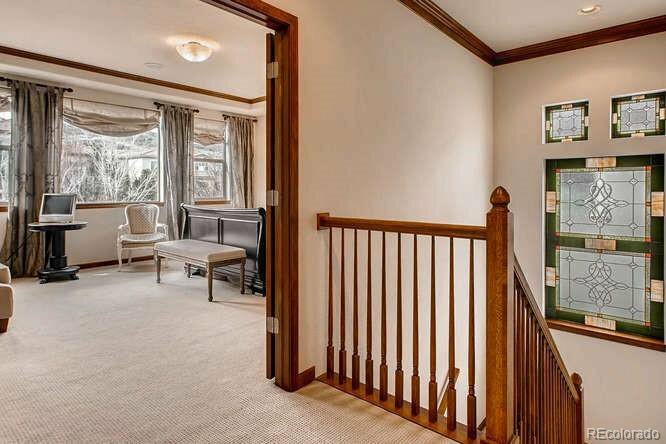 Upstairs Boasts 2 Guest Bedrooms with Jack & Jill Bath, and the Spacious Master Bedroom with His & Her Walk-in Closets and 5 Piece Master Bath. 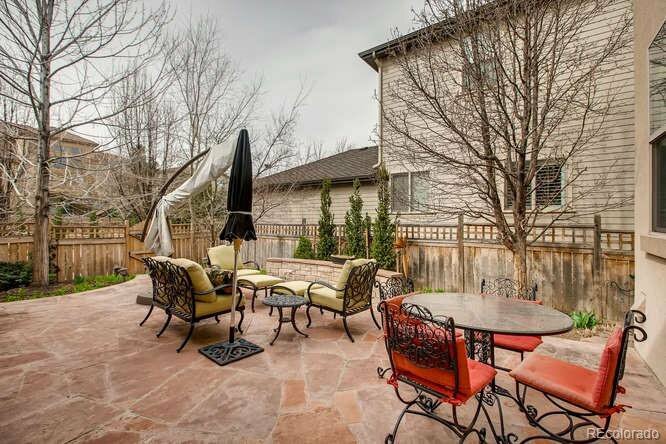 Back Patio Oasis with Water Feature and Nat Gas Grill perfect for family gatherings or relaxing on cool Colorado evenings. 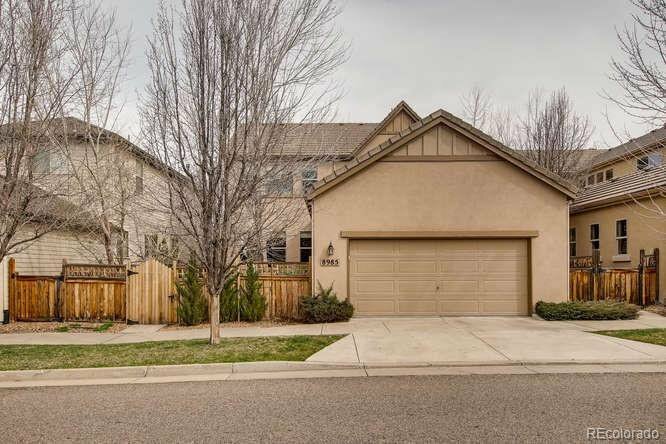 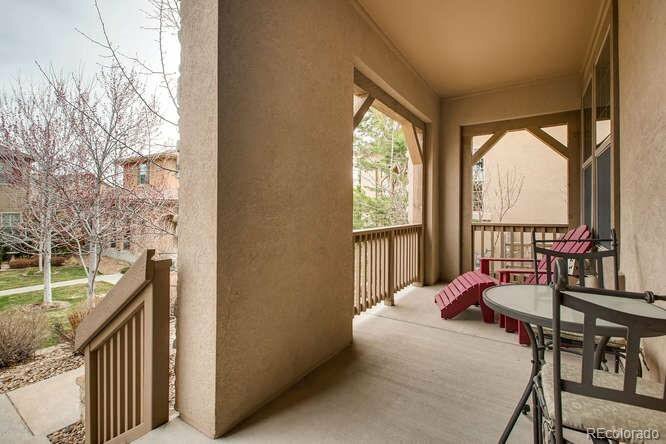 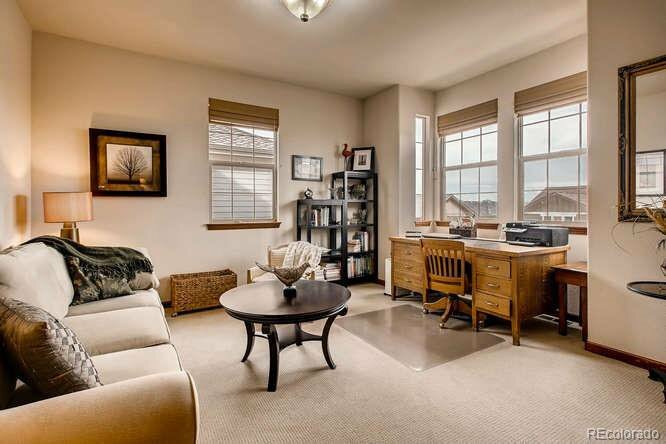 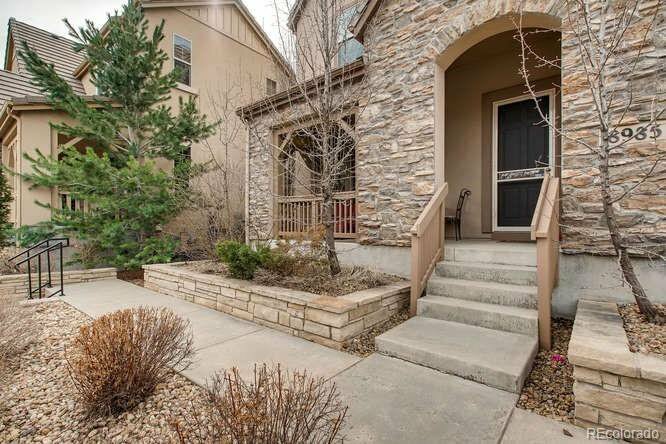 Great Location close to Light Rail, Parks, Restaurants, Rec Center, Lone Tree Arts Center, Library and Steps away from Bluffs Regional Park with Miles of Hiking and Biking Trails. 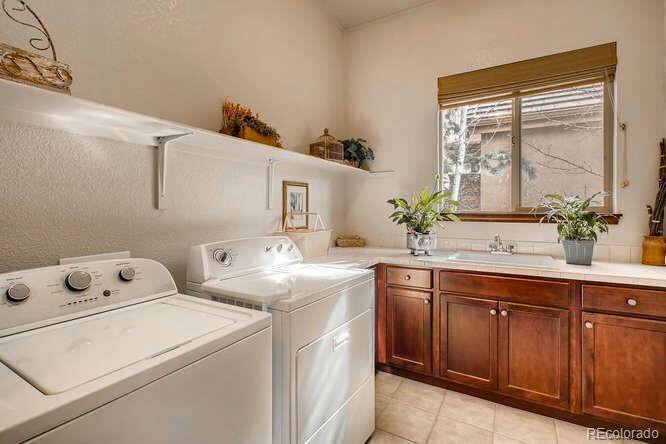 Low Maintenance Living at its Best. 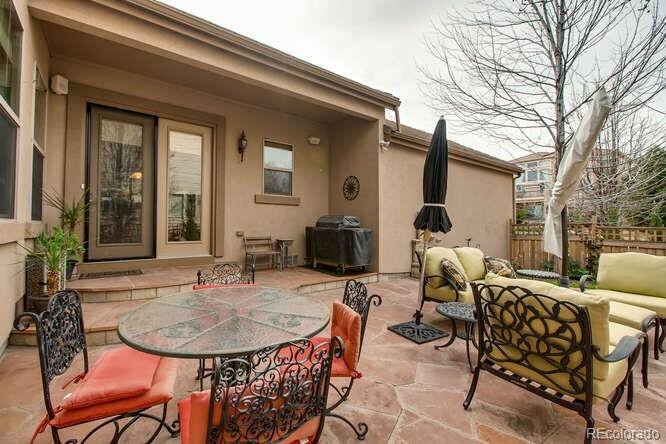 Homes in this Private Courtyard Enclave don’t come on the market often.